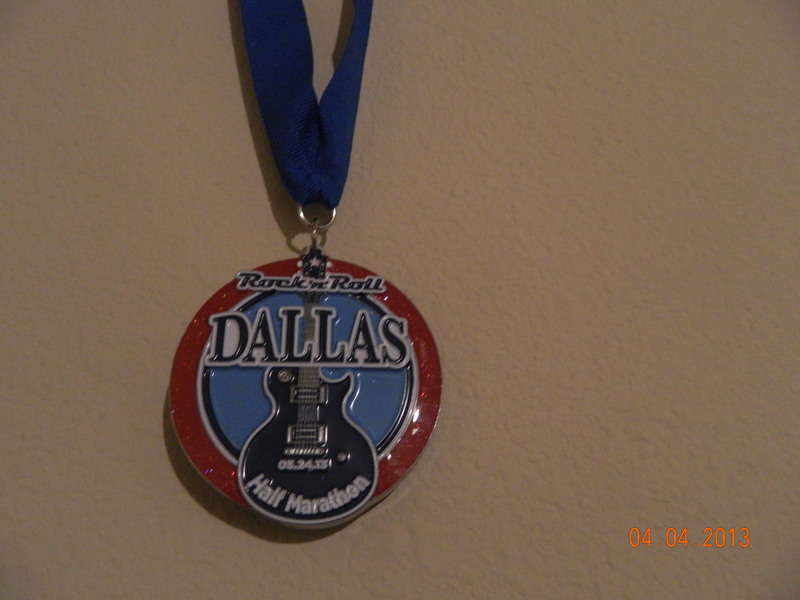 Last weekend I ran in the Rock and Roll Half Marathon. I guess “ran” may be a bit of an exaggeration. I ran part of it. I ran for the first 2 miles and then I hit a real steep hill and had to walk to the top of it. I ran for another 2 miles and then had to take a bathroom break, (which is kind of gross when all you have is a port-o-let). After that I had to alternate walking and running in much shorter increments for the remaining 9 miles. I got a little added motivation to keep going at miles 5, 9, and 13 when I saw a very good friend cheering me on with a poster made especially for me with my favorite colors on it. Every time I thought I couldn’t go another step, I thought about how I would be seeing her standing there in just a little bit. I appreciated her being there more than she will ever know!! I kept all my miles, (except the bathroom break mile), at under 13 minute miles. I finished at 2:43:02. The last time I attempted a half marathon, I finished in 3:07, so I was pretty proud of myself. I love my medal. I want to start doing more races that give medals so I can start a medal collection. I’ve found lots of cool display frames for them, but it would look pretty silly with just one medal hanging there. This weekend I will be riding in the Tour Dallas, but no medals for that!! This week’s recipe turned out really good. It is low carb, so I’m hoping by eating it for dinner this week, I will start to lose some weight. I’ve put on a few pounds and I don’t want to let my weight get out of control!! I’m getting back on track with my food and my exercise! 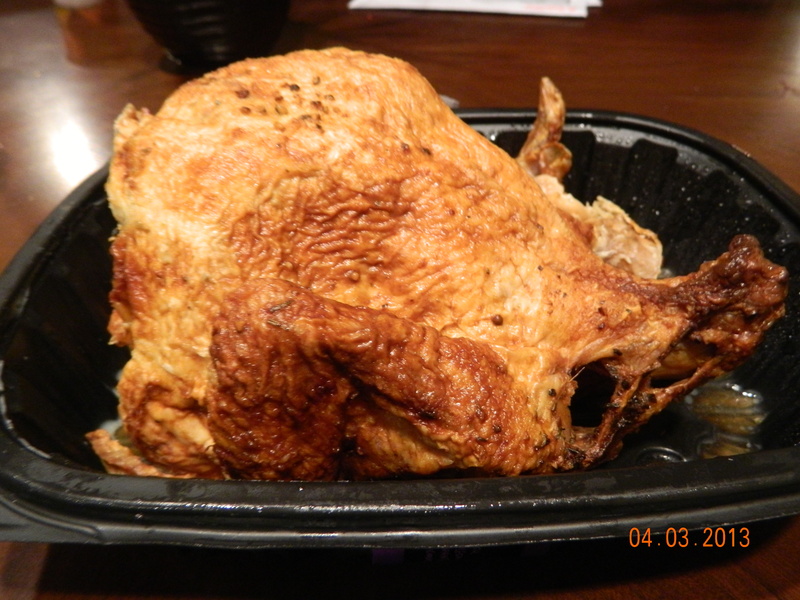 Get a Rotisserie Chicken from the grocery store. 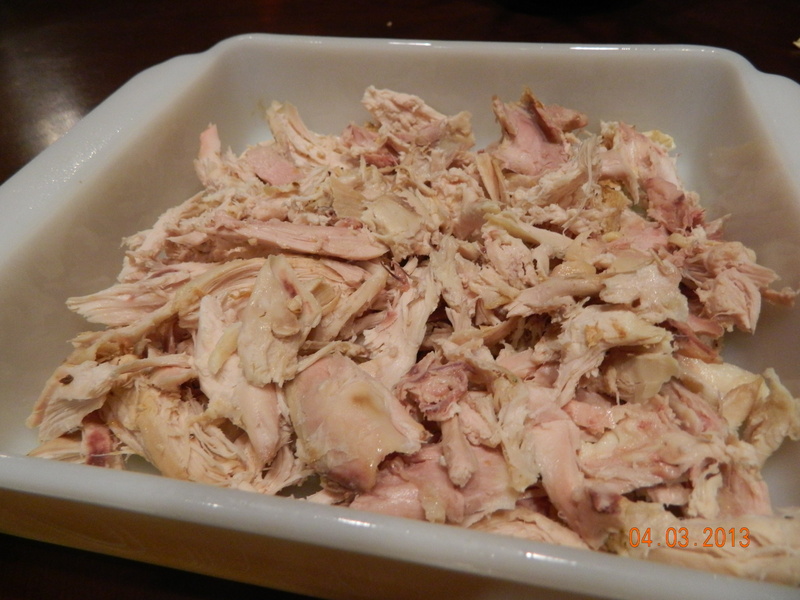 Put Pam in a 9 X 9 casserole dish and tear up the chicken for the bottom layer. 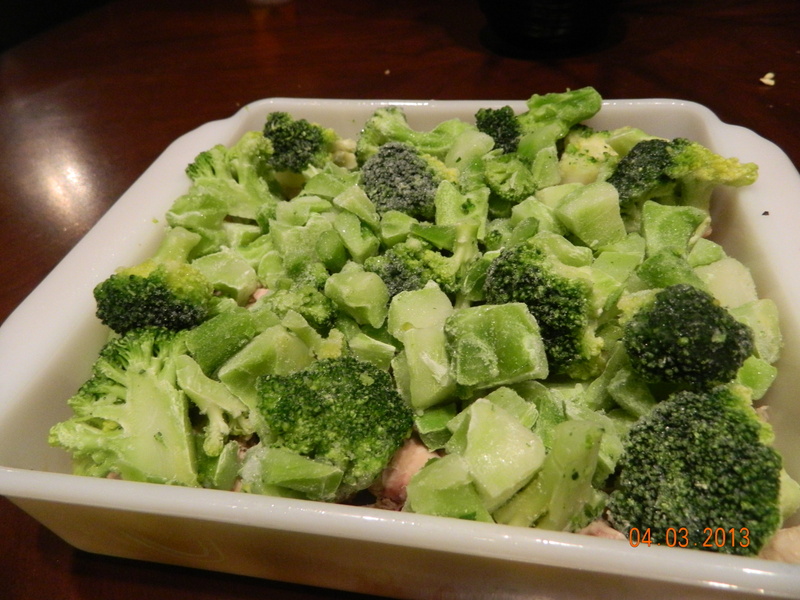 Put broccoli over the chicken. 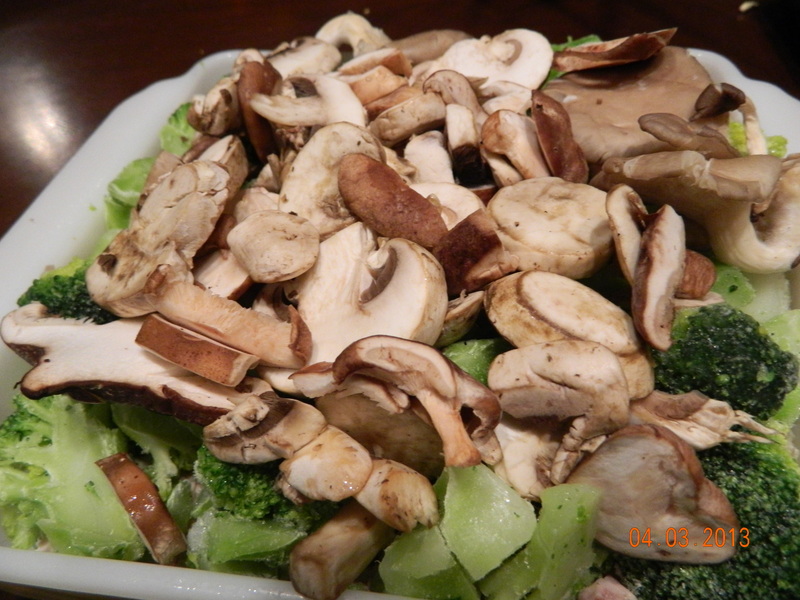 Put mushrooms on top of the broccoli and sprinkle lemon pepper over the mixture. 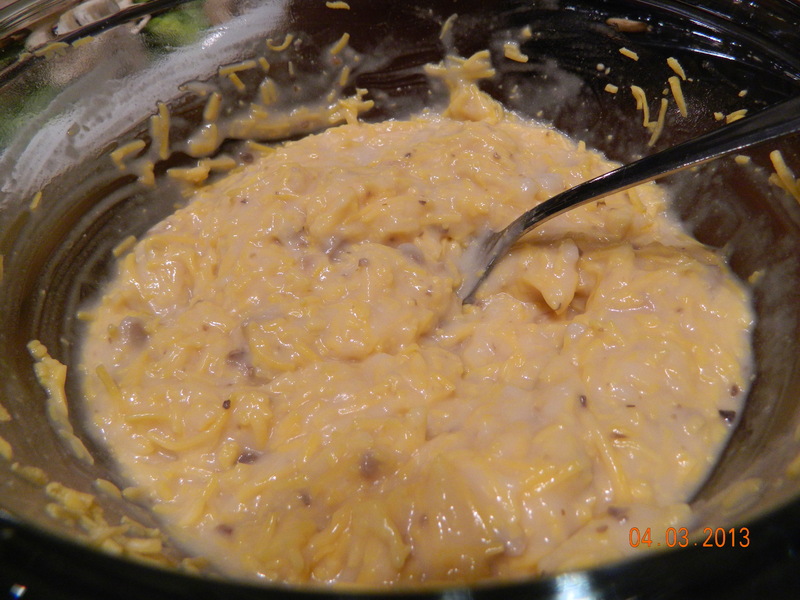 In a bowl, mix cream of mushroom soup, half a can of water and about 6 ounces of cheese. 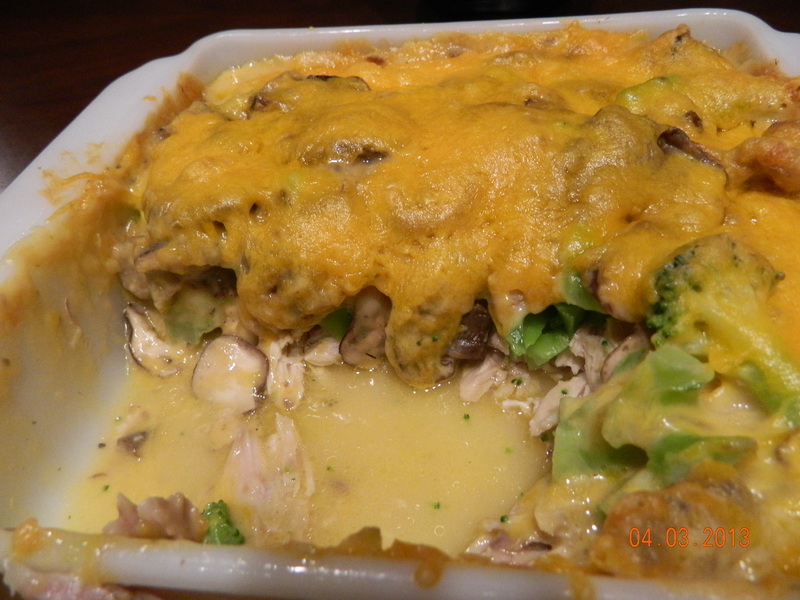 Layer the cheese/soup mixture over the chicken, broccoli and mushrooms. Put in the oven at 350 for about 45 minutes. 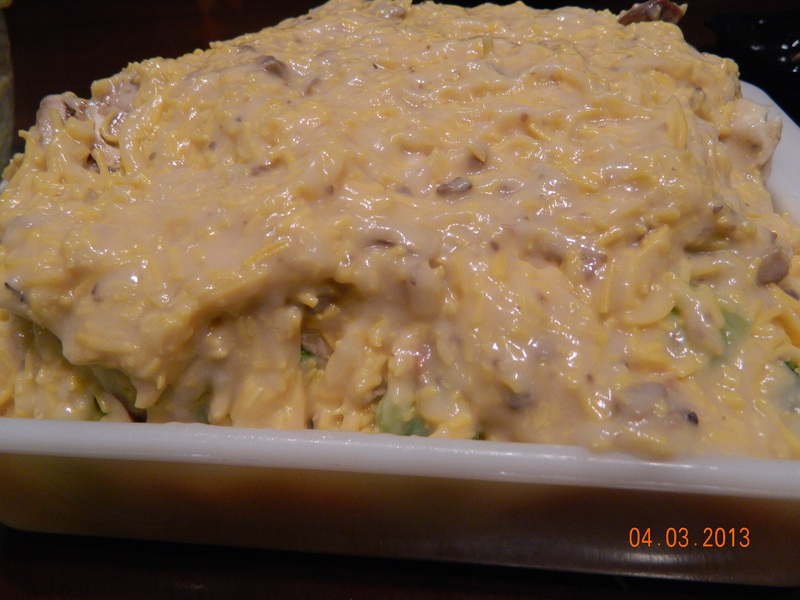 Pull out of the oven and cover the casserole with more cheese and put back in the oven for another 10 – 15 minutes. Pull out of the oven and eat. 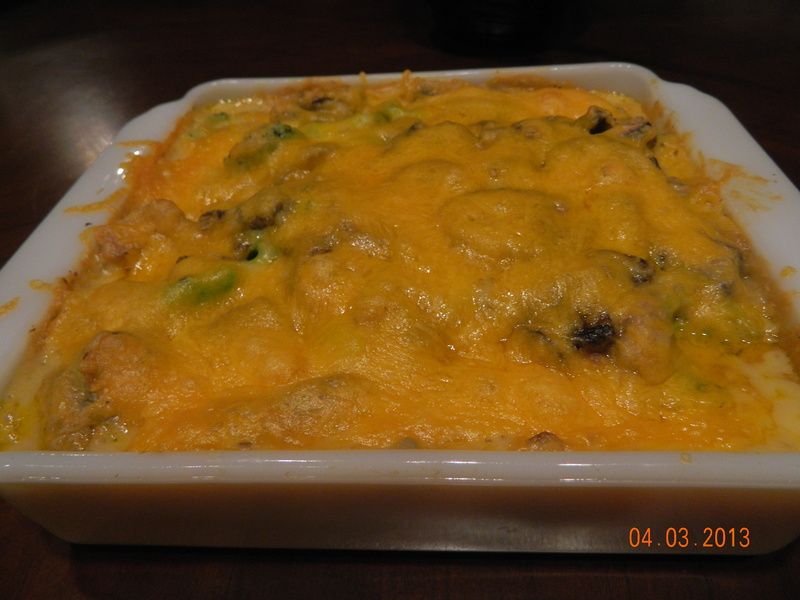 This casserole was even better the next day! !